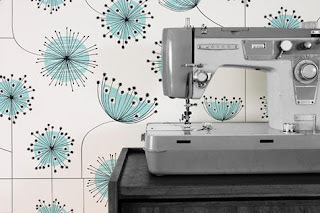 I just started a little Pinterest board of vintage sewing machines. I love the old yet modern look of the metal machines. Love my Pfaff, but not the same look as the old timey ones. My mom had a cool one from the 70s that I always admired as a kid. Perhaps where the love affair began?